Posted: Monday, December 3, 2018. 1:55 pm CST. 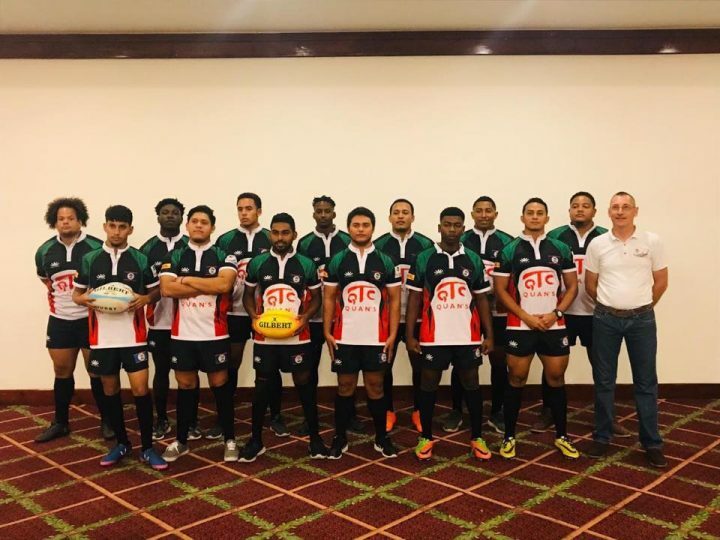 By BBN Staff: The first official national rugby team of Belize was launched on November 9, 2018, at the Biltmore Plaza Hotel. The launch was presided by Rugby Belize founder, Tony Gillings. The team, named the Belize Macaws, comprises of players from across the country representing the four district teams already established, including Kings Park Scorpions RFC, Orange Walk Black Mambas RFC, San Pedro Sharks RFC and the Cayo Baymen RFC, and is coached by Brendan Meany (USA) and Roberto Vasquez (Orange Walk Black Mambas RFC). The Team Captain is Adrian Tillett (Kings Park Scorpions RFC). Although this event was the official launch, the team’s first game was held in Ladyville when they took on BATSUB in a thrilling game watched by the biggest crowd for a rugby game in Belize to date. Amid much vocal encouragement from the spectators, the Macaws went down 3 – 2 to BATSUB, but it was a valuable experience and allowed the new team to continue preparations for the most important game yet for Rugby in Belize – the first international game. Sponsors of the team include Edmund Quan (Quan Trading Company) and Glenn Wilson (Diamond Lodge).